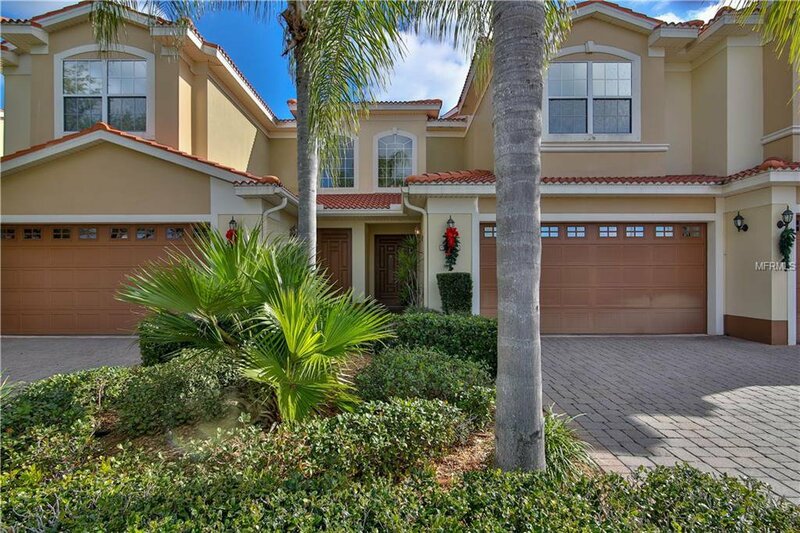 Gorgeous move in ready 3 bedroom and 3 full bath townhome in the Villas of San Marino at Carollwood Village. Retreat in the Master Bedroom with a sitting sanctuary that opens up onto the balcony overlooking the pond and golf course. The Granite Kitchen with wood cabinetry, under-mount stainless steel sink w/disposal, smooth top range, microwave, dishwasher, and a walk-in lighted pantry will be a dream to cook and entertain in. Recessed lighting with high ceilings. Bellini great room floor plan flows with over-sized tile throughout first floor and opens up with French Doors onto the screened in deck overlooking the pond and golf course. Master Suite, laundry room, and second bedroom on upper level with third bedroom and one full bath located on main floor. Complete with barrel tile shingled roof and attached 2 car garage. Fabulous golf community w/ tennis courts, clubhouse, pool, and fitness center. Clubhouse with dining and beverage services available. Enjoy the incredible Country Club life with with a Social Membership and option to upgrade to a Tennis or Golf membership at the Carrollwood Country Club. When you have guests in town, they can stay on premises at the Emerald Green Resort Condo. Incredible Opportunity to have your very own property in this highly sought out community. Don't wait, this townhome won't last long.